We're so excited to finally have a baking recipe up for you guys so that we can appear more legitimate. We do ask, however, that you refrain from asking us any basic questions about baking. Instead, all inquiries regarding the science of baking should be submitted here. Also, yes, this recipe does use only whole wheat flour, and we are aware that baking with whole wheat can make any mouth-watering treat taste like a sweater. We wouldn't do that to you though so we made sure to balance it out with a nice amount of honey, cinnamon, and two ripe bananas. With the help of those ingredients, this recipe is actually really good. Bonus: the recipe is simple, it's super easy to stick in your kid's lunch box or to grab for your on-the-go breakfast. You also get to tell people that it's homemade. If you're celebrating Purim this week, this is a great recipe if you don't have much time to leave the house to give out gifts to people. 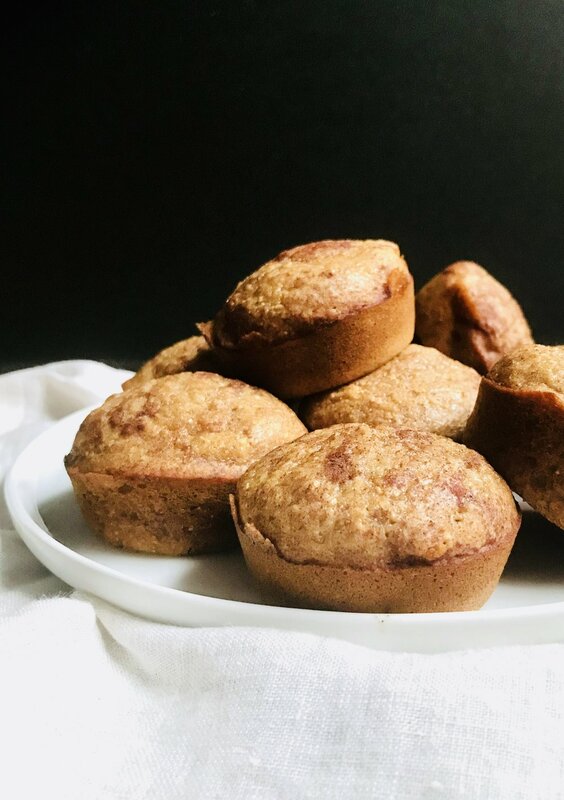 You can make a batch in the morning, let people come to you, give them a muffin (feel free to substitute with white flour for extra deliciousness...) and offer them a cup of coffee. Awesome. Done. Preheat the oven to 375 degrees. In a large bowl, mix all the dry ingredients: flour, baking powder, and cinnamon. In a separate smaller bowl, mash the bananas really well (small lumps is fine). Add the eggs and mix until well combined. Add the honey, oil, vanilla almond milk and mix completely. Pour into the large bowl of dry ingredients and stir until well mixed. Spray a muffin tray with oil and fill each one with batter, leaving a little room at the top. 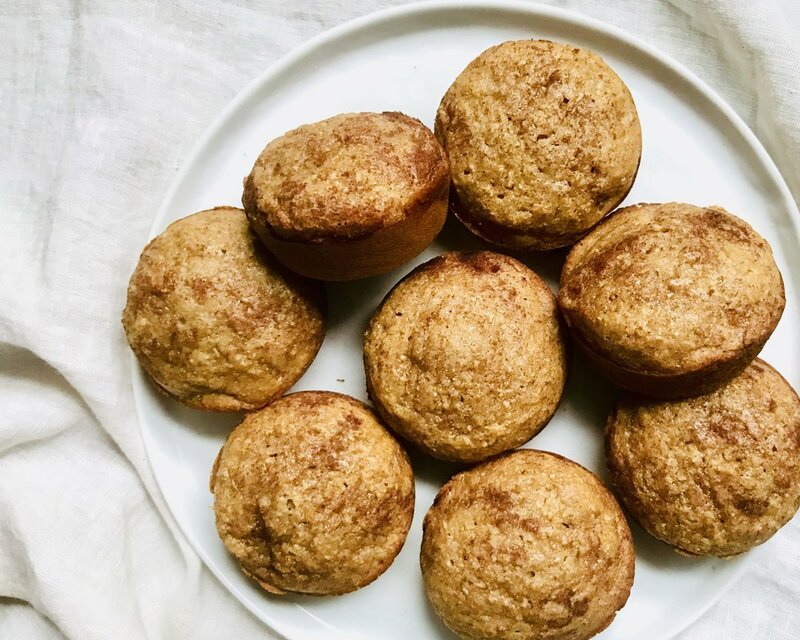 Optional: top the muffins off with a dusting of cinnamon and a drizzle of honey. Bake in the oven for about 15 minutes, or until a knife comes out clean. Makes about 12-15 medium sized muffins.